Space Weapon: Anti-satellite weapon (ASAT) is a weapons designed to incapacitate or destroy satellites or any space craft for strategic military purposes. Space is being regarded as "the ultimate high ground" for military engagements so, achieving space superiority is one of primary ambition to most nations especially the world superpowers as it enables them to have a continuous military advantages and conduct operational capabilities in all types of warfare. The space superiority described as “the ability to maintain freedom of action in, from, and to space, sufficient to sustain any mission assurance.”The military strategists strongly believed that in order to outmaneuver any country that so powerful enough like example the United States of America is only when you have capabilities in jamming or destroy its dedicated military satellite communications like (SATCOM), Synthetic Aperture Radar (SAR) used for terrestrial imaging intelligence, and Global Navigation Satellite Systems (GNSS), such as the US Global Positioning System (GPS). When totally destroyed them such country will be in ultimatum blackout, its IBMs and other military capabilities will just then became in a level of stone age. To enable this unless you have Kinetic Energy ASAT, like China and Russia that possessing the lethal anti-satellite weapons. 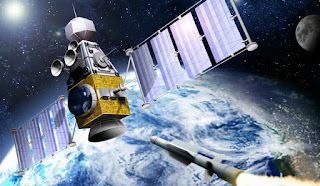 Initially the U.S., Russians and then Chinese have built their ASATs by sending a small nuclear device into the sky which would be triggered near a satellite. These were crude devices and troubled by the appearance at the time of detonation of a powerful electro-mechanical pulse which destroyed many more things in the sky than the target. As the drum of World War III beats more louder and the hearts of several nations have engulfed by the imminent fears due to the increasingly volatile relationship between major nations, the space militarization has reawaken the anxiety of Cold World that could easily lead into World War III, this threat is already knocking at the door . We have seen already how furiously competitive China,Russia and America are in hustling with arm race in space. In 2001 U.S. withdrew from the Anti-Ballistic Missile Treaty and went on with various programs developing ground,sea and space-based missile capabilities that includes ASAT weapons. China and Russia have been pushing for a debate on a Prevention of an Arms Race in Outer Space (PAROS) treaty, which would ensure that states observe a prohibition on space weaponization. 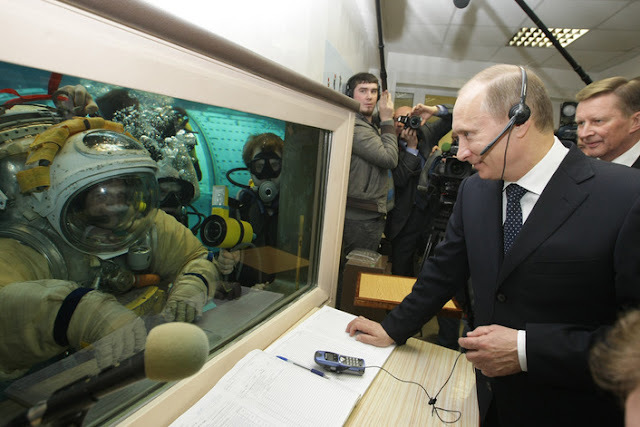 Russia and China have also submitted a draft treaty to the UN that preventing the placement of weapons in outer space. However, in all likelihood, the United States would not want an arms-control treaty if it means limiting the U.S. National Missile Defense system (which has de facto ASAT applications). We should take note that the international law under the resolution 1962 (XVIII) of space orbital has forbidden the use of space platforms include lunar, asteroids or any form of celestial bodies for military activities. Since no single nations have official jurisdiction over the space, which is an universal province of all earthlings, so no country should be allowed to exerting space dominance over any portions or totally all sector of the space. Although, nuclear weapons in the sky were banned under the ABM Treaty of 1972 the world major powers still continue testing and launching nuclear warhead into space in defying of such a Treaty. The PLA’s development a hand deal of ASAT weapons which was not a primarily reaction to U.S. unseemly space ambition. But, it was driven by a regional security concern, influence, and the desire to conduct asymmetric warfare against a superior foe if the conflict arises. China also seeking assurance to guarantee its regional superiority and viability of its nuclear deterrence, so the red army by possessing the critical space-segment in the orbit it can able to challenge Americans. The Chinese space program also contributes to the PLA’s anti-access/area denial (A2/AD) capabilities to use the space utilities for critical C4ISR that provide long-range precision strike weaponry. China conducted a test of a new missile capable of knocking out satellites as part of Beijing’s growing space warfare arsenal. The test of a Dong Neng-3 exoatmospheric vehicle on 30 Oct 2007 from China’s Korla Missile Test Complex in western China. In the highly “informatized” and technologically advanced battles that characterize the 21st century, outer space will play a dominant role. Space assets direct military operations and help in making crucial battleground decisions. In this regard, attempts to weaponize space and command this sphere are to be expected from great powers. The United States and USSR started weaponizing space in the in the 1950s and 1960s respectively, and China is now following suit. There are several types of kinetic energy weapons that used specifically for ASAT weapons, nowadays electromagnetic laser has became a most favorable choice when arming a delivering devices that pulsating and focusing energy to destroys any space craft include satallites. The Mid Infrared Advanced Chemical Laser (MIRACL) project for instance that being researched and tested by Americans is also in this categories. Helios Laser or popularly called Hell-bore is a destructive space weaponry platform with tunnable hell-fire of dropping a large and lethal electromagnetic energy, that even aided by earth gravity to accelerate it to high hypersonic velocities and hit the target with immense amounts of force. This kind of space based-weapon system presumably can take approximately less than 15 minutes from space to strike it's target on Earth, in 30 km radius impact. Military explosive experts said it only needs few gram of radioactive substance to give such weapon some sufficient penetrating power to drill a giant hole into the ground in the range of thousands of feet, the same force capable of punching through mountains like dynamite. A direct impact can easily destroying a concrete bunker underground the earth and burns almost anything with a direct impact. Such an impact or collision will cause an explosion due to pure kinetic force, in which the radioactive beam will vaporise and release an explosive yield equivalent to 120 (12 kilotons) of TNT. Of course, the utilization of space for military purposes has been met with fierce opposition and questionable consequence to the survival of human species and other creatures on Earth. The environmentalists especially through UN are campaigning for the treaty which prevents the placement of WMDs into the earth's space. However, with the increasing threats that thrust the earth further and further into chaos, both terrestrial and Extra-terrestrial will suffer the consequence. We must retaliate here that some country are already working on several programs to develop these type of devastating weapons,capable of shooting microwaves to fry entire cities in a second (speculatively), enough to kill unprotected humans, boiling them alive with an invisible attack. If space-based laser weapons are being possess by certain countries, it will be likely that mistake and pre-preemptive provocation will occurred to unleashed such tremendous force which is equivalent to 15 million degrees Celsius, the sun's temperature that able to cause explosive plasma in outer space or on Earth. Another option is an intense beam of radio waves that may pulsating continuously rather then fired at once, this laser can instantly fry all electronics in a certain given area or be focused to melting everything in its way. The weaponized laser is very good at blinding things on at a very large scale so it can be used for robbing an enemy sight. The Washington Times reported last week that Air Force Gen. John E. Hyten, who has been chosen as the next commander of Strategic Command, told Congress’ Senate Armed Services Committee that the U.S. is moving to counter the threat of a space war disadvantage with China and Russia. He said China and Russia are currently in the process of developing anti-satellite missiles, laser guns, and maneuvering killer space robots that could, once deployed, knock out or incapacitate strategic U.S. communications, navigation and intelligence satellites. 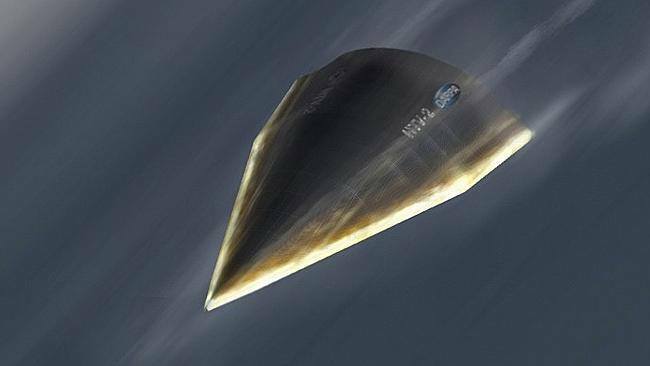 As military experts know, these craft are crucial to the maintenance and actionability of America’s high-technology warfare systems. General Hyten said, directing his words at Sen. McCain. The general went on to detail that strategic threats were “many and complicated” The spread of advanced arms technology, advances in ballistic missiles, and threats in space and cyberspace. Hyten also pinpointed nations that seemed to be the most likely to become opponents in the aforementioned threat areas. He has issued a sobering warning that both China and Russia, given their years of emphasis on upgrading and renovating their space war arsenals, could, in the future, place the United States in a position of weakness if matters were to degenerate into a state of war between these countries. "The Department of Defense has aggressively moved out to develop responses to the threats that we see coming from China and Russia. 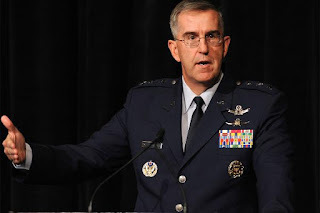 I believe it’s essential that we go faster in our responses.” Air Force Gen. John E. Hyten believes that China and Russia have been attempting to outpace the U.S. in military matters with regard to space and that the Pentagon is now moving to counter the foreseen “challenge” of possibly being outmaneuvered and outgunned in space. If a World War 3 scenario were to actualize, he thinks the U.S. should be prepared to meet that challenge. The retired NATO Supreme Allied Commander Gen. Philip Breedlove also warned that NATO, in its present state, was ill-prepared to stop an aggressive Russia from overrunning Europe and, given its air and naval superiority, “I do have some concerns for our ability to move fast enough to build those capabilities that we need to respond to the specific threats, We’re moving much slower in certain areas than our adversaries. The counter measures and defenses against civilian satellites and International Space Station (ISS), we know for sure that when space war finally broke out everything in the orbit will be destroyed include civilian satellites and all man-made platform. The multi-billions went into the deployment and development of these expensive satellites and space craft. So, measures should better put in place to ensue that they are not shot down, blow up or simply ripped apart by some people who might seeking retaliation and targeting even International Space Station (ISS). Various advanced electromagnetic measures are capable of mapping out the vulnerable area on space asset. The first counter measure is to cloaking a space craft and satellites by covering them essentially with metamaterial coating capable of deflecting electromagnetic laser energy around it (making them ideal for defending against other laser weapons) thus allowing them to be invisible completely from sight through most means. Since, there is no sound in space this means they cannot be echo-located. Each platform always should cloaked until called upon for use, in which they will partially or fully decloak for temporary use. The engineered structure of space craft should also sealed with cohorent absorber, allowing it to defocus and absorb most any type of laser fired at it. If discovered, or the cloak for some reason does not work. The space craft's external feature should be hardened all around, using silicon carbide transistors and using the naturally metallic structure and a faraday cage mesh built within to defeat attempts that allowing any kind EMP to disable it. Building space craft with highly durable Carbon Nanotube and Inorganic Titanium fullerene structure, it will make it so difficult to damage through kinetic strikes, as much of the force is absorbed in a way similar to that of rubber and hammer, most energy being directed simply will be dissipated and rebounded back.